Nagnata translates as 'nakedness' from Sanskrit, which captures the cleverly non-restrictive and barely-there feel of the label's designs. 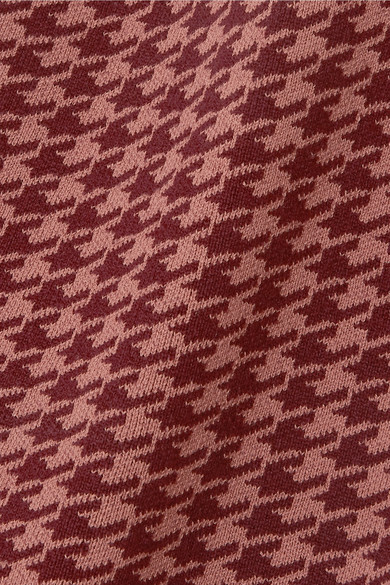 Made from technical stretch-organic cotton, this top is knitted with an on-trend houndstooth pattern in blush and burgundy, and has intersecting straps at the open back which move with you. 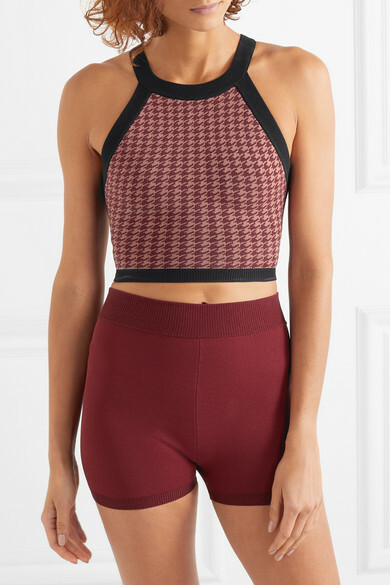 The cropped shape looks great with high-rise shorts and leggings.